Here we go for a seven-hour drive towards the New Brunswick! For this I have to take the 173 road. 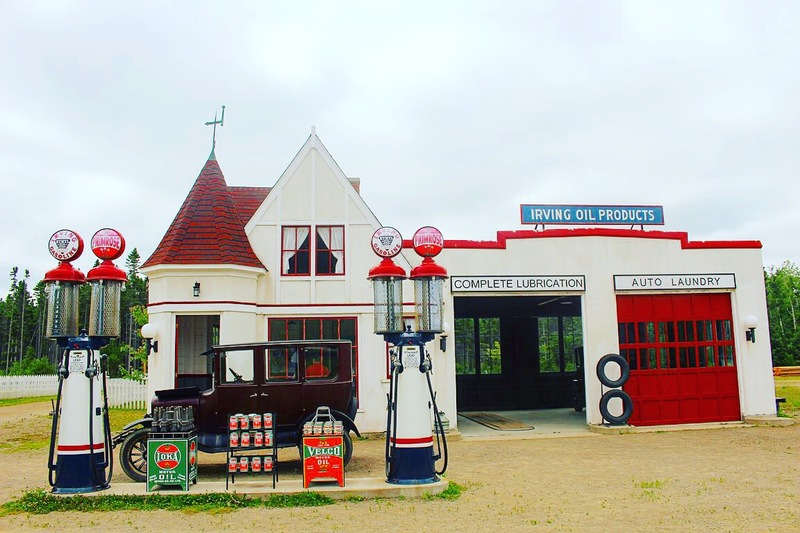 The road is rather pleasant and you will pass by several charming towns that are worth a visit: Saint-Jean-Port-Joli, Kamouraska and Rivière-du-Loup. Several hours later I arrived in the city of Moncton, where I booked a campsite for several days. Camping is fabulous. I did that once in my life and I had forgotten the joys provided by this activity: lack of cleanliness of the facilities, coexistence with mosquitoes and insects of all kinds etc. Happiness. 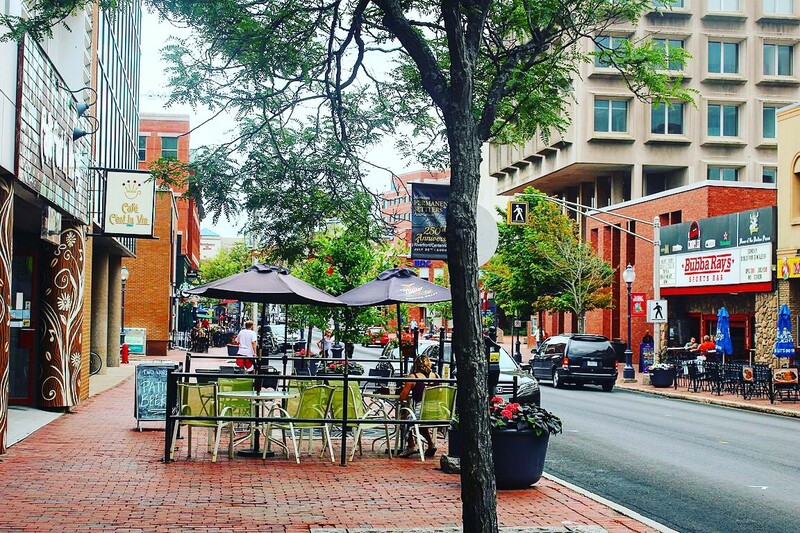 In Moncton there are not many things to do: a small downtown, a zoo, a few parks and the Acadian Museum. It will not take you much time to go around the city! The Bay of Fundy is located about a one-hour drive south of Moncton. This is where the highest tides in the world are located. On site you will observe the “flower pots”, rocks whick look like flower pots when the tide is low. A beautiful place to discover. Also, if you decide to go there, tickets are valid for two days. 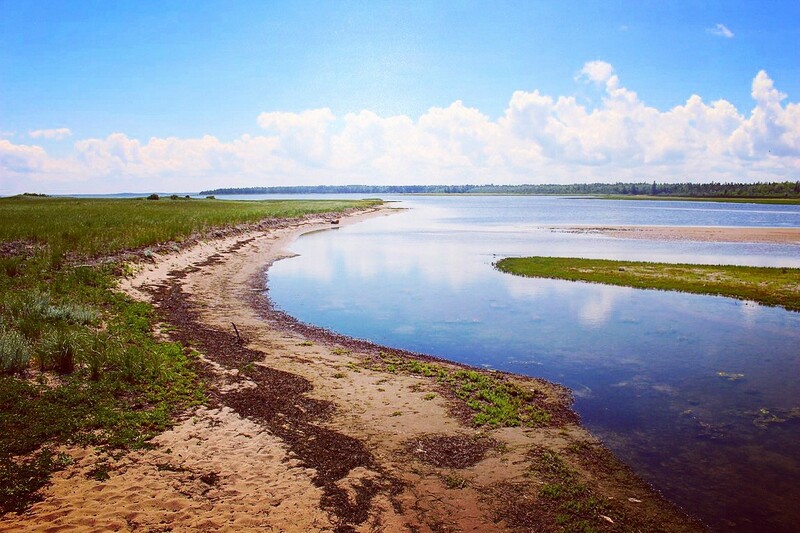 In Shediac you will enjoy a beautiful beach, the one of Parlee Beach. You will also be there if you like seafood. 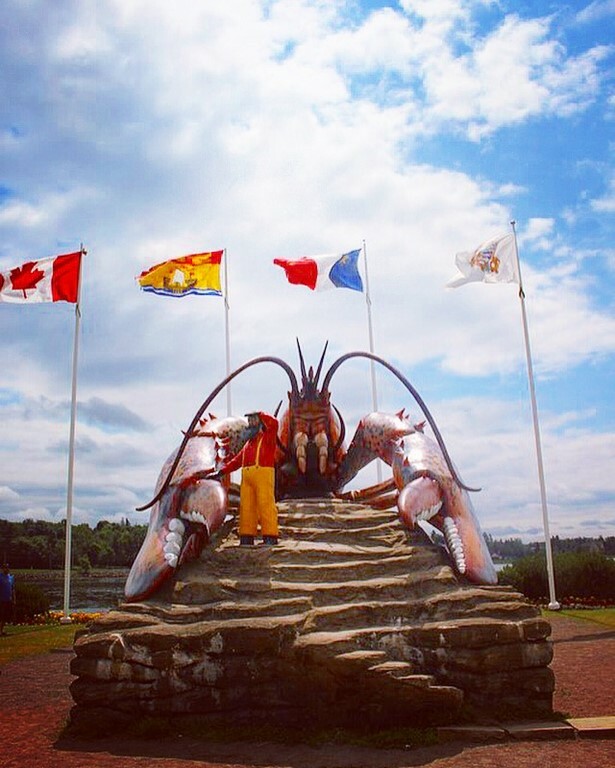 The city, self-proclaimed “World Capital of lobster”, is proud of its lobsters and wants you to know it. You will see a giant lobster when you arrive in the city! In early July there even is a festival in honor of the crustacean. Perhaps like me, the name of the park will make you smile. Kouchibouguac National Park is located south of Moncton, about twenty minutes by car. Its name is from the Mi’kmaq, Native American people who lived there once. On site you can enjoy a beautiful nature (swamps, forests), but also warm beaches. 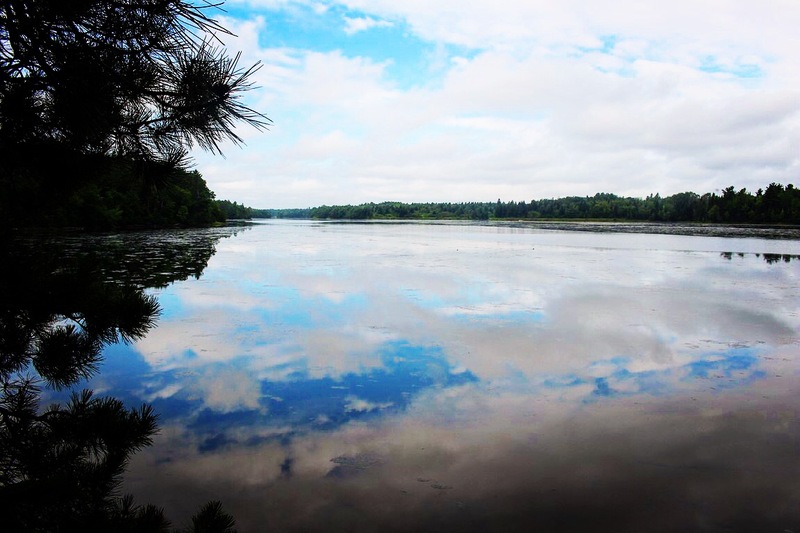 You will also be able to choose between activities like hiking, biking, canoeing, kayaking or going to the beach. 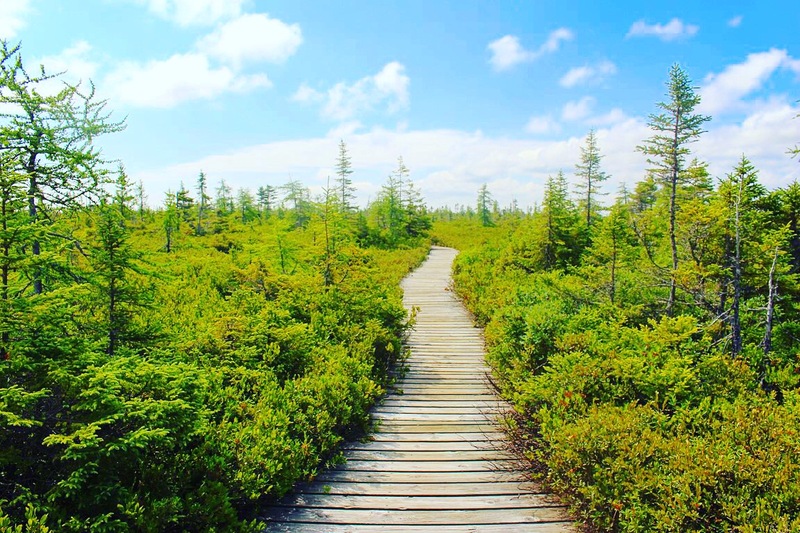 If like me you love to hike you may be venturing in the paths of the Bog and the Kouchibouguac River, before resting on Kellys Beach. The discovery of the New Brunswick rhymes with that of the Acadians, the first French in Canada who have been deported across eastern United States, after the sale of the “old Acadia” to the English. 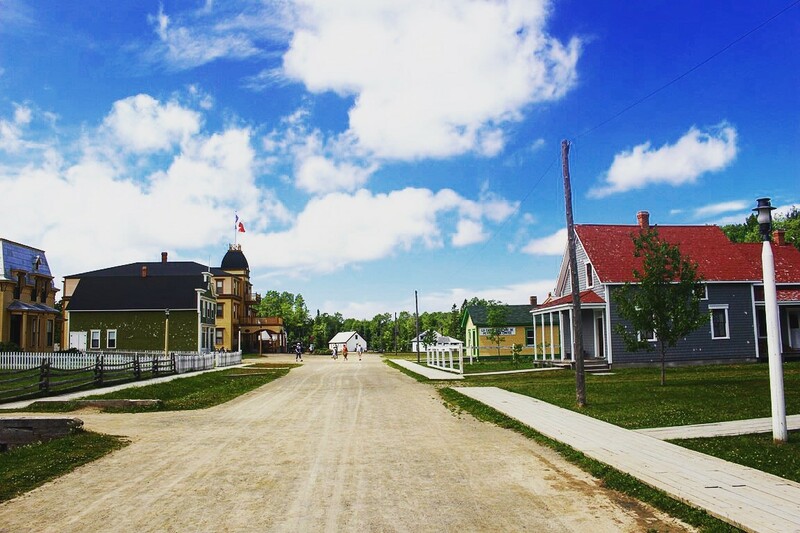 The Pays de la Sagouine is about a 40-minute drive in the south of Moncton. There the Acadian traditions revived by making you dive into the world of La Sagouine, a book first which has been adapted later on television, through many shows. A festive atmosphere awaits you! 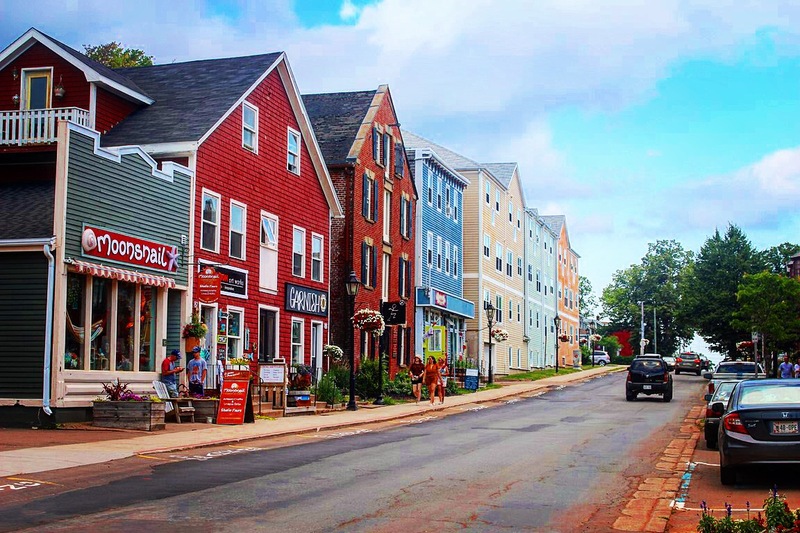 Located two hours by car from east Moncton, Prince Edward Island is one of the Maritime provinces, with New Brunswick and Nova Scotia. To access the island you have to pass through the ten kilometers of the Confederation Bridge and pay the crossing fees of $45. On the island the scenery is beautiful. 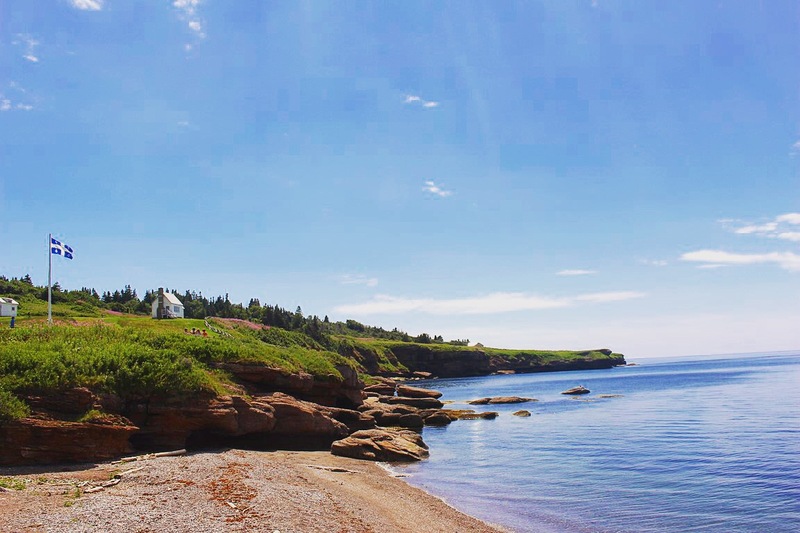 People usually go there to enjoy the quiet beaches, seafood, but also to discover the universe that inspired Lucy Maud Montgomery, a famous Canadian novelist, you wrote Anne of Green Gables, her famous novel. 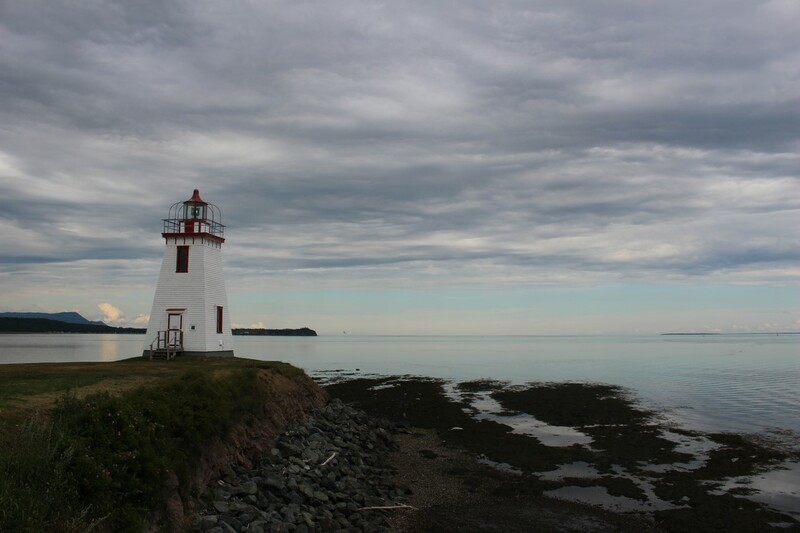 When I was there I first visited Charlottetown, before to go to Cavendish Beach, located in the national park. 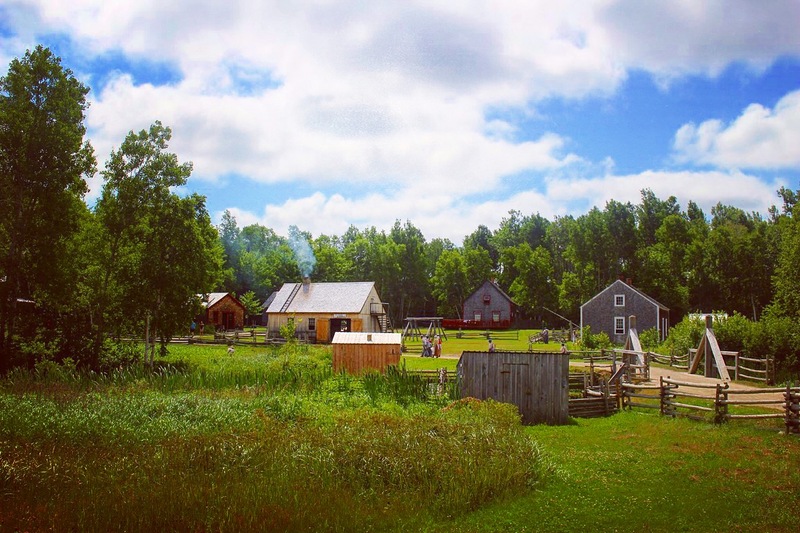 By following the Atlantic coast north towards Gaspésie, it will take you to the Village historique acadien, located in the city of Bertrand. The place is a reflection of the past life, that formerly had Acadian people, like a return to the past. It is the opportunity to discover the traditions of fascinating people. The site offers a 2,5-kilometer journey involving houses, as they were at the time. Inside the houses performers will help you to discover the different professions which were exercised by the people in the village: carpenter, farmer, cobbler, fisherman and many more! A travel back in time. During my visit I even had the chance to be invited by a nice lady for lunch, who had prepared a beef stew with the traditional cooking equipments. After this visit I hit the road again because I had to go to Campbellton, where my couchsurfing was waiting for me (a first for me). But before that I made a stop in the city of Dalhousie, just to take some pictures of the Inch Arran Lighthouse. I had already seen some in movies, but never in real life. The evening with my host had gone well. Don is a very nice person. We talked a lot about our respective trips, before to share a dinner he had prepared. The next morning we had breakfast together before I got back on the road. Here we go again for several hours by car. The 132 road is picturesque. 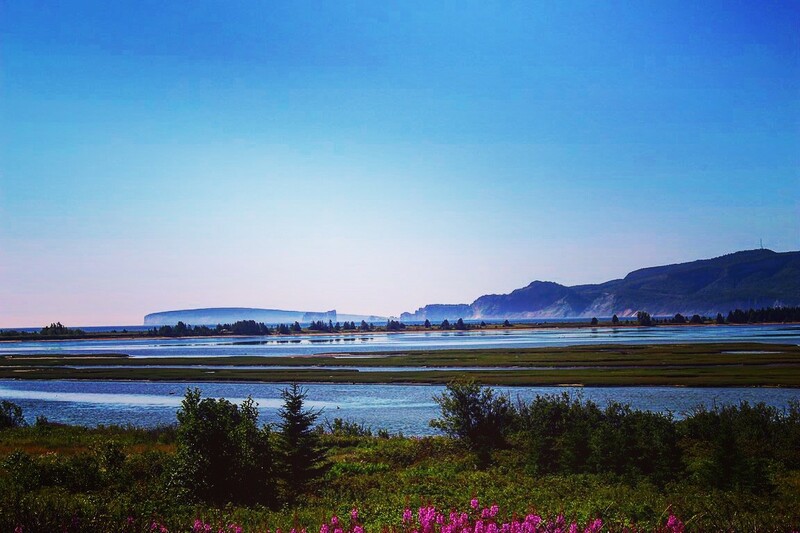 I made two stops, one in Carleton-sur-Mer and another one in Chandler, before to arrive in Percé, where my second couchsurfing was waiting for me. I had the choice between going to a nudist gay couple’s house who wanted to paint my body, or in a campsite-restaurant, Les Sacs à Vin. Finally I chose to do some camping again. The body painting will be next time. Les Sacs à Vin is run by François, a French who has been living in Quebec for 10 years, very friendly, and who gladly welcomes couchsurfers in his campsite. On site I met other French people, whose modes of transport were different depending on the people: a couple were cycling, and two students were hitchhiking. We sympathized and spend the evening together, in which we discussed and took a few drinks. Regulars and other customers of the restaurant also joined us. This was a little bit of change for me because the past days I was not used to seeing so many people. The next morning I went hiking at Mont Sainte-Anne trail, which offers several magnificent views. Then I went to Bonaventure Island. 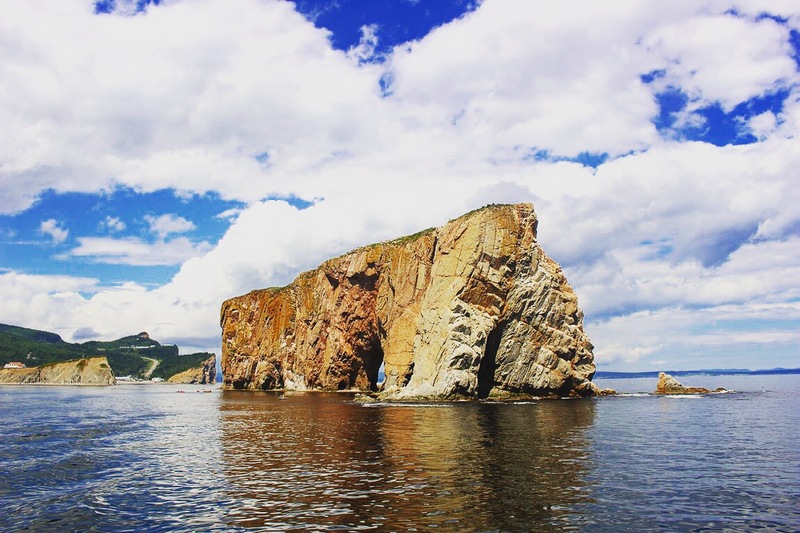 The boat trip allowed me to approach Percé Rock a little closer. On the island there was a beach and several hiking trails, the main attraction remained Northern Gannets. Back in Percé I walked a few minutes to get to the bottom of the rock, then I went back and took some pictures at the marina. When the night started to fall, I decided to go to bed early because I had to hit the road early the next day. 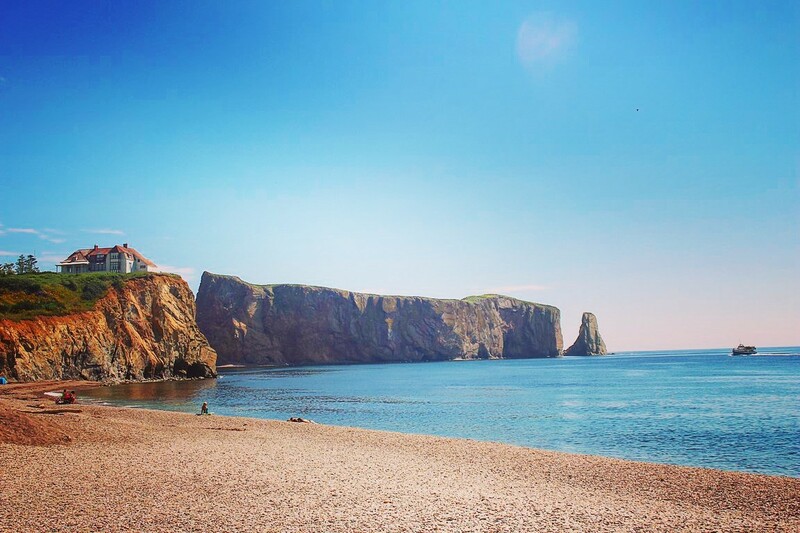 Percé, one of the attractions of Gaspésie, had been a great stop-over, both on the human and touristic side. If you ever go there one day, do not hesitate to make a stop in Les Sacs à Vin restaurant, the food is very good there and the lobster is one of the best in the city in terms of quality-price ratio. François will also give you good advice for your visits. Early wake up and departure for the city of Gaspé. The two hitchhikers I met at the campsite, Clemence and Delphine, came with me. It was nice to have some company on the road. 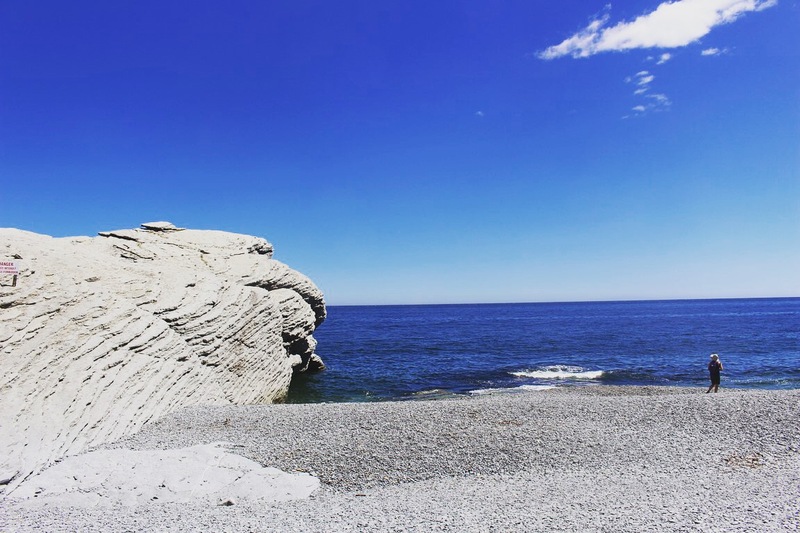 A three-hour drive separated us from Gaspé, but at the end the travelling time was a little longer because Clemence and I love to take pictures. So we stopped several times on the road. 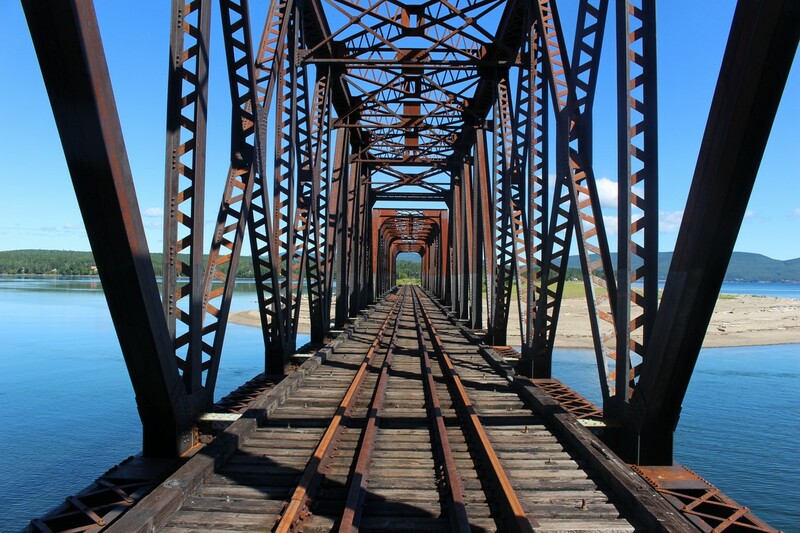 At Douglastown we found this abandoned railway, a beautiful place for photographers! A few hours later we finally arrived in Gaspé, where we headed towards the Forillon National Park. There you can see signs that tell you to watch out for bears. Reassuring. 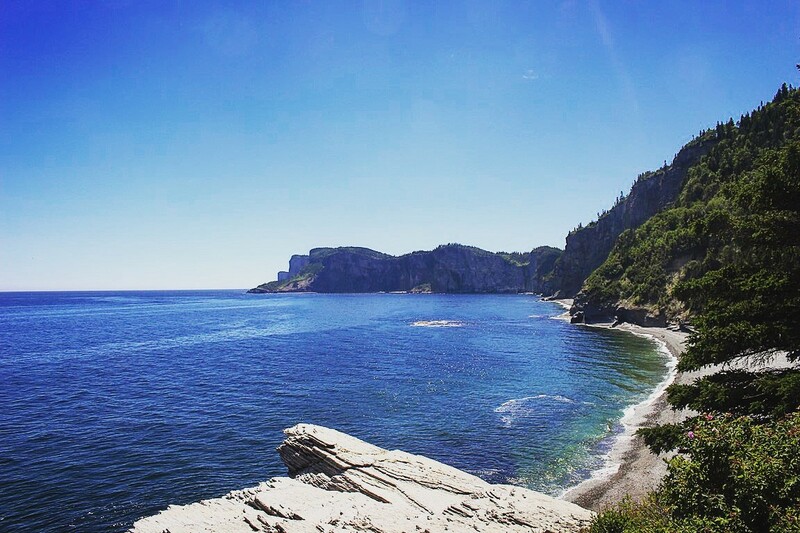 Our tour began: Cap bon ami, Mont Saint Alban, Cap Gaspé. That was wonderful. 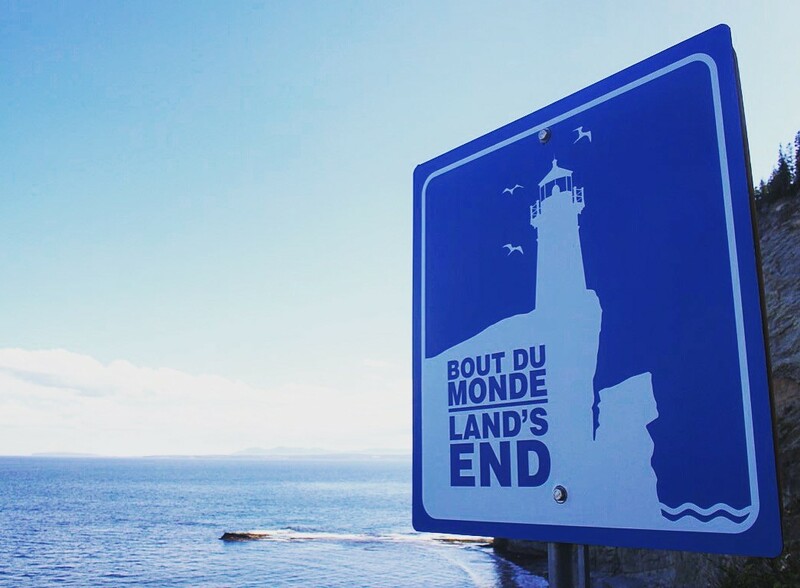 Once we had visited the “bout de monde”, it was time to hit the road in the direction of Sainte-Anne-des-Monts. Our late arrival forced us to do some wilderness camping, another first for me. The next morning we made a short visit at the Sea Shack, a known festive hostel by party people from the area, some kind of a debauchery place I guess, according to testimonies of people who had been there. All summer parties are organized, during which artists come to give concerts. The place is rather charming with colorful wooden cabins, and has an ideal location by the sea. On site we discovered some people for whom the night had been pretty difficult. Some people finished or started their day with the rest of alcohol bottles from the night before. 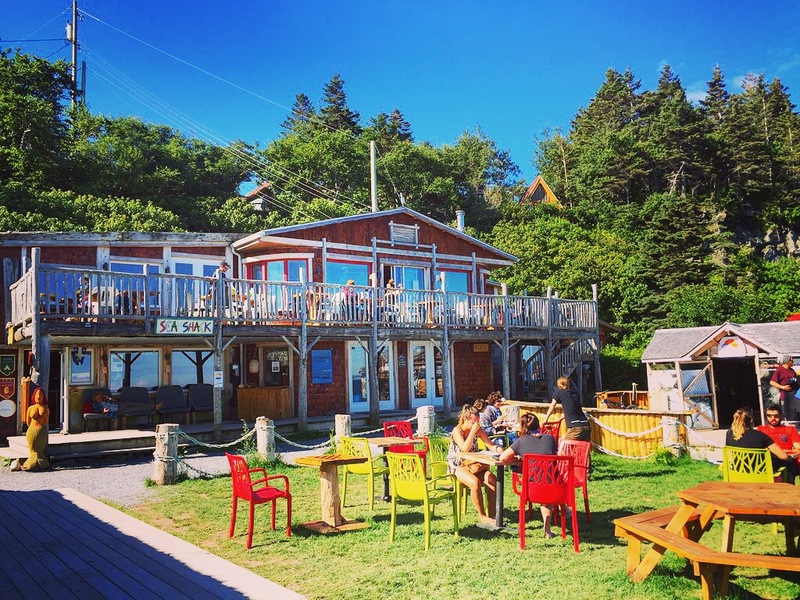 After this quick tour of the Sea Shack, we went to the Gaspésie National Park. At the park reception the lady who received us, although she was very charming with the previous person, was rude to us. Perhaps had she recognized our French accent? We decided to venture on the Mont Albert trail and we began the ascent, which has difference in height of 850 meters. The hiking is quite difficult and the first portion of the trail is not the prettiest. But this improves along the way. At this point we had no idea that a little surprise was waiting for us, close to the end of the trail. At about one kilometer from the summit, as we were walking quietly, we heard a noise in the bushes. 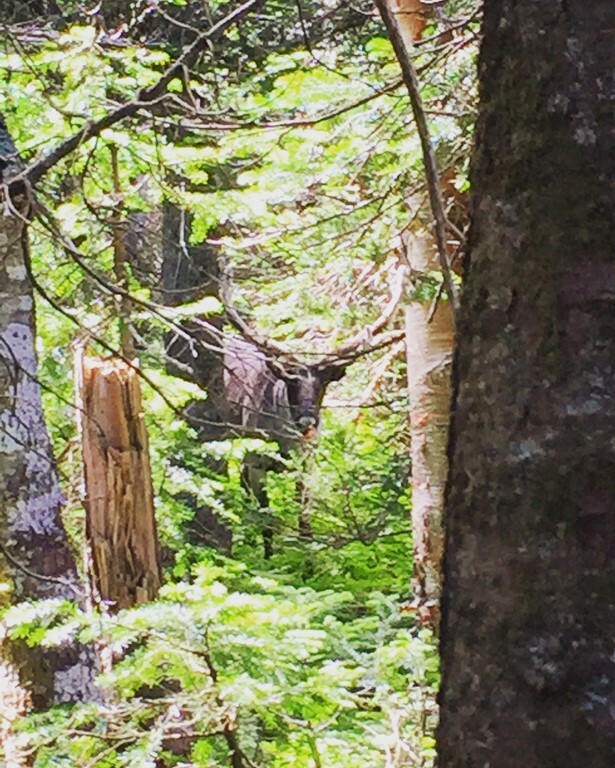 Then a few seconds later a caribou emerged from the foliage and we found ourselves face to face with him. This was the first I saw one since I have been living in Quebec, so imagine my joy! Surprised, our new friend, who we named Philou, got scared and tried to get away from us. We discreetly tried to follow him in order to take some pictures of him. After this unexpected but beautiful meeting, we resumed the trail and made the last meters that separated us from the top. Once there, we enjoyed the landscape. Gorgeous. Then we used the last remaining forces we had to go to the other observation point of the Mont Albert, which was one kilometer away from where we arrived. Thus ended our tour of the Gaspésie National Park. With the girls we did some more road together, until the city of Matane, where our paths diverged. After that I only had to return to Quebec! 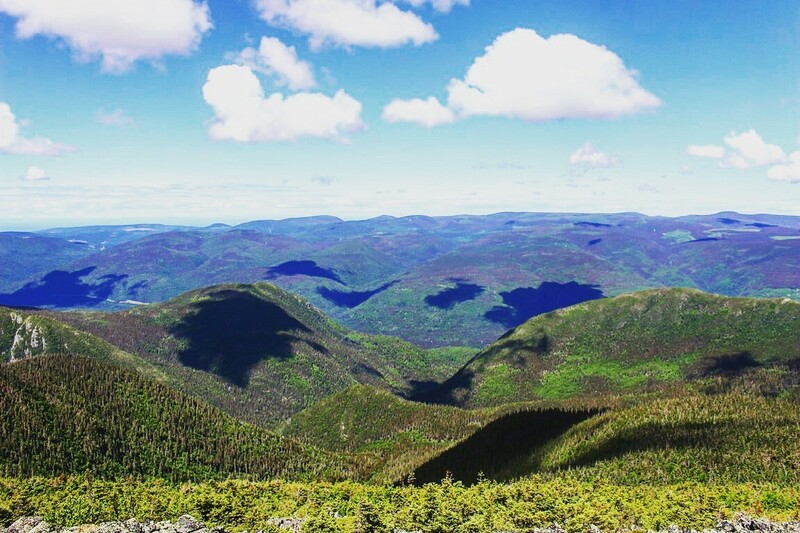 Here’s how ended my roadtrip in New Brunswick and Gaspesie, in which I have traveled more than 3000 kilometers and visited more than a dozen cities. This trip has been a great experience for me, both on human and cultural aspects, with beautiful meetings but also a total escape through the discovery of incredible places. I will keep fond memories of this trip. – J1: Departure from Quebec city. Night in Moncton. 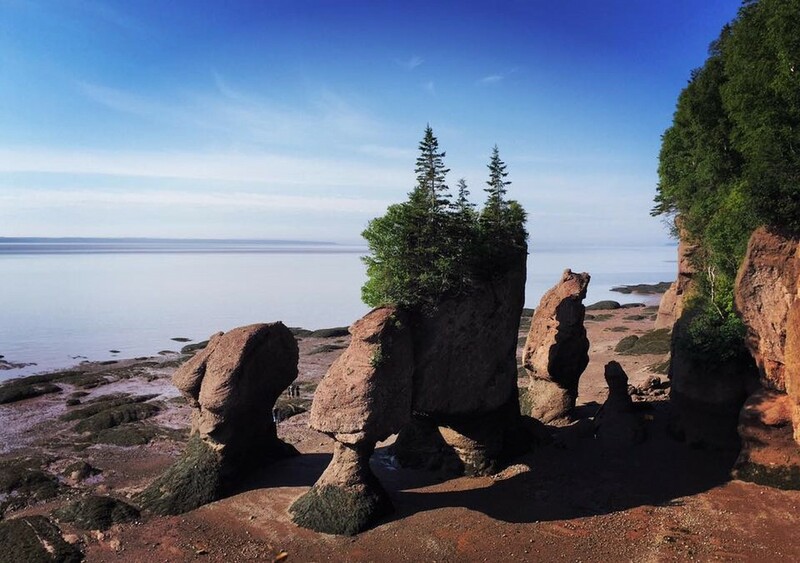 – J2: Bay of Fundy (Hopewell Rocks). Shediac. – J3: Saint-Louis-de-Kent (Kouchibouguac National Park). 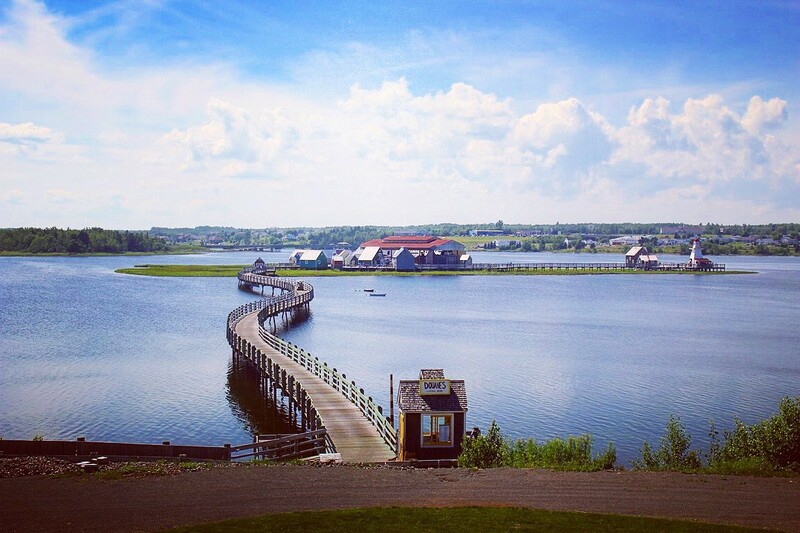 Bouctouche (Pays de la Sagouine). Visit of Moncton. 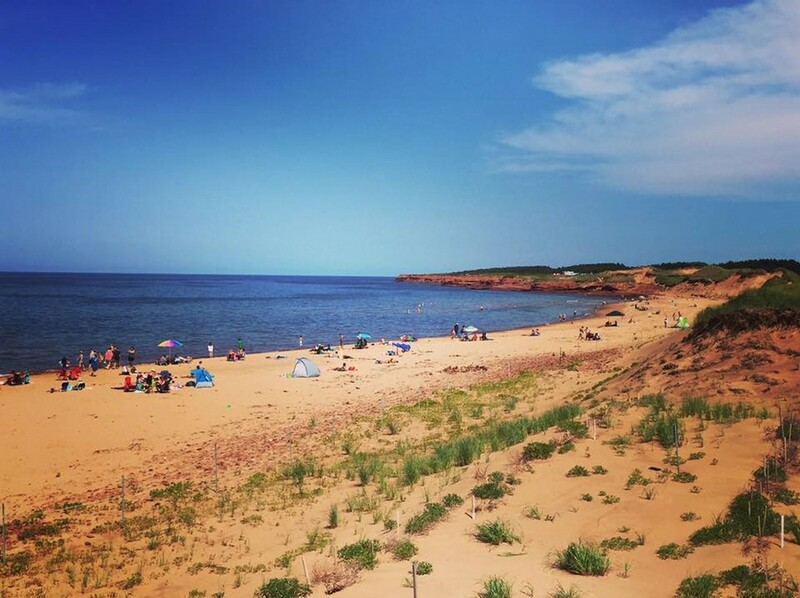 – J4: Prince Edward Island (Charlottetown, Cavendish). 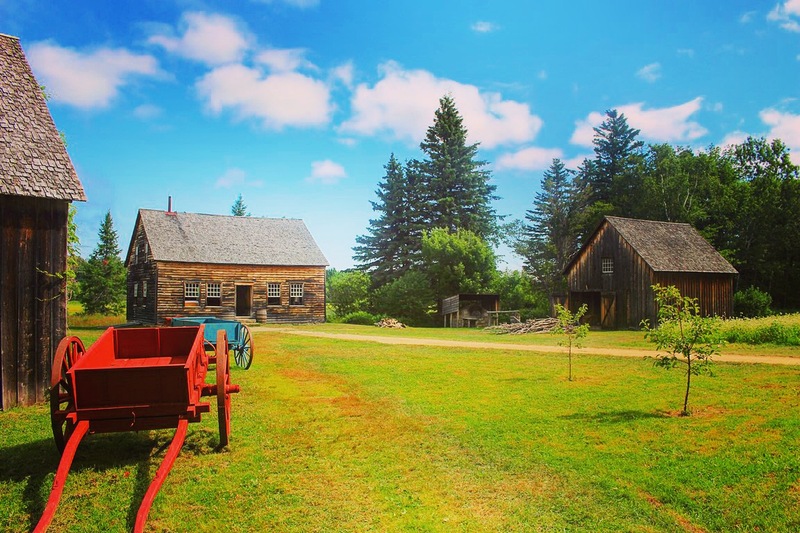 – J5: Departure for Bertrand (Village historique acadien). Dahlousie. Night in Campbellton. 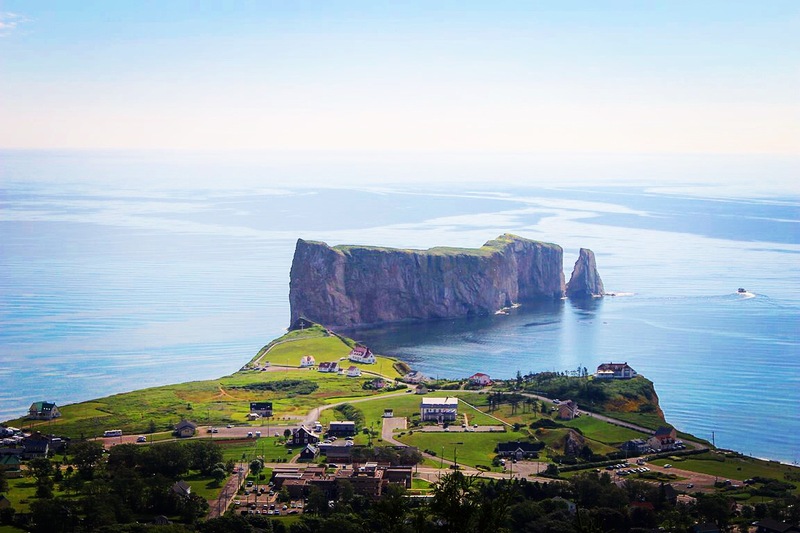 – J6: Departure for Percé. Carleton-sur-Mer. Chandler. Night in Percé. 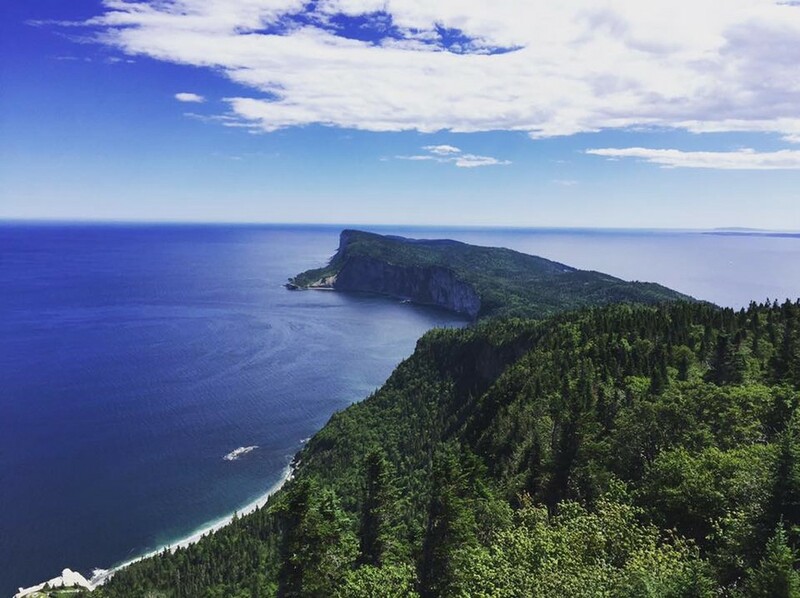 – J7: Percé (Mont Sainte-Anne hiking trail, Bonaventure Island, Percé Rock). Night in Percé. 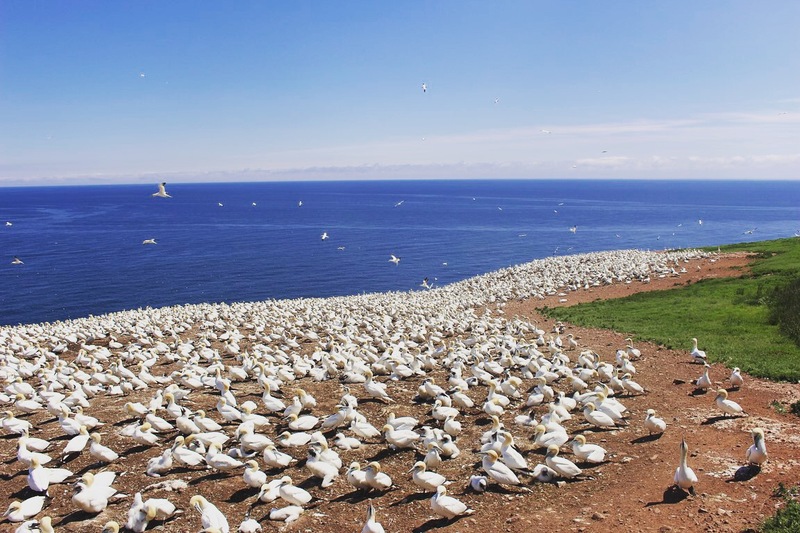 – J8: Departure for Gaspé (Forillon National Park). Departure and night Sainte-Anne-des-Monts. – J9: Sainte-Anne-des-Monts (Gaspésie National Park). Return in Quebec city. J’adore lire tes articles! J’avais adoré le New B! Je pense y retourner quand mon fils aura 5 ans! Merci Anaïs, ça me fait vraiment plaisir, et ça me donne du courage pour écrire aussi ! J’espère qu’avec ton fils tu pourras retourner très vite dans cette belle région !